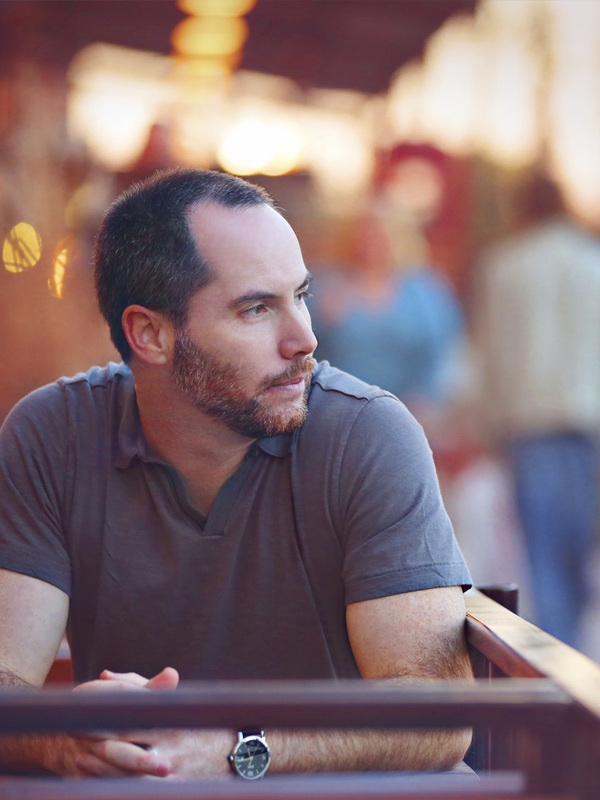 This is the seventh post of an eight part series about the Active Directory Data Access Layer. As each post builds on the previous it may be helpful to review older posts prior to reading this one. If you would like to download a working copy of the AD DAL please refer to the download on the Code Share page. 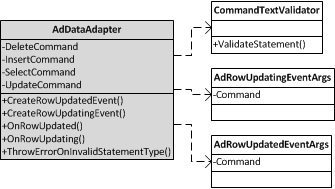 The AdDataAdapter has four routines that accept an AdCommand each with a specific purpose. The CommandTextValidator will be used to ensure that each method supports the correct type of operation. The implementation for today’s class diagram is based upon the MSDN article, Implementing a DataAdapter, which does an excellent job of explaining how to implement the DbDataAdapter.
''' Instantiates a new instance of AdRowUpdatingEventArgs class.
''' Represents a set of data commands and a database connection that are used to fill the DataSet and update an Active Directory domain.
''' Occurs during Update before a command is executed against the data source. The attempt to update is made, so the event fires.
''' Occurs during Update after a command is executed against the data source. The attempt to update is made, so the event fires. '* events in the components list of events.
''' Instantiates a new instance of AdDataAdapter.
''' Gets or sets a Transact-SQL statement used to delete objects in Active Directory.
''' Gets or sets a Transact-SQL statement used to insert objects into Active Directory.
''' Gets or sets a Transact-SQL statement used to select objects in Active Directory.
''' Gets or sets a Transact-SQL statement used to update objects in Active Directory.
''' Initializes a new instance of the RowUpdatedEventArgs class.
''' The DataRow used to update the data source.
''' The IDbCommand executed during the Update.
''' Whether the command is an UPDATE, INSERT, DELETE, or SELECT statement.
''' Initializes a new instance of the RowUpdatingEventArgs class.
''' Raises the RowUpdated event of a .NET Framework data provider.
''' A RowUpdatedEventArgs that contains the event data.
''' Raises the RowUpdating event of a .NET Framework data provider.
''' An RowUpdatingEventArgs that contains the event data.
''' Throws an error when the command is not of the specified statement type.
''' The AdCommand to validate.
''' The type of statement expected.